Spiritual trekking in Central Italy: visit the monastery of Santa Scolastica, then walk for a quick trail to Saint Benedict of Subiaco where is the famous Sacro Speco (Holy Cave). It’s a wonderful path, seriously, it’s almost better than the walk to Santiago de Compostela! 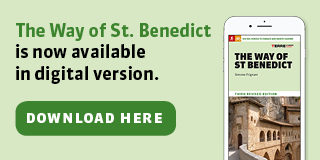 The abbey dedicated to Santa Scolastica – who was Saint Benedict’s sister, nun as well – is a place where knowledge is preserved, through a huge archive of ancient books. There is also an ancient hand-written Bible, purchased in 1394.